Space movies have grown leaps and bounds in their narrative; they are no longer limited to spaceships or rockets. Over the past few decades, we have witnessed space movies that are “extraterrestrial” or “interstellar” in nature and explore the worlds which may or may not be imaginary. If one takes a good look at the history of space-based movies, the narrative goes back to the 1902 movie ‘A Trip to the Moon’ – essentially a French-origin movie which is the story of a bunch of “astronauts” venturing to the moon, exploring it and escaping from lunar inhabitants they call Selenites, but capture one and bring it to earth. For a movie that was made over a hundred years ago, I am sold. H. G. Wells – the legendary English writer, and futurist — is the reason for the mass popularity of the futuristic, especially space-based, movies. A trend that began in the ’60s and continues to this day. Things changed drastically after the ’60s when USSR and the US competed against each other for manned space missions, followed by man’s historic moon landing in 1969. Space movies are intriguing for many reasons – one of them being the lack of information we have on the subject. Science fiction is a broad genre. And within that genre, space movies occupy a prominent place. Nothing fascinates and intrigues audiences more than “the unknown”. And nothing is more unknown than the darkness and vastness of space. There’s something about the mystery of space that draws us in. Humans, in general, are thrill-seeking; and space gives us the ultimate thrill. Many big blockbusters like Star Wars or Star Trek or more recently The Guardians of Galaxy are also based in space but for this article purposes, I haven’t counted them as space movies for a simple reason that they are not about the space precisely; their stories are just based in a fantastical world outside earth. This article strictly deals in films that are either about space or the extraterrestrial entities in space (could be planet or moon or spaceship). Here is the list of top space movies ever. You might be able to watch some of these good space movies on Netflix, Hulu or Amazon Prime. The list includes space exploration movies, space adventure movies, space movies for kids, classic space movies and action space films. Starting from a movie I am not personally a big fan of, yet, it makes a case for being a space film and involves “interplanetary” travel, well sort of, ‘The Hitchhiker’s Guide to the Galaxy’ is a funny take on the space travel and revolves around Arthur Dent and his misadventures. Arthur is the last survivor after Earth is demolished by an alien race, who are trying to make a hyperspace bypass. Ford Prefect, a humanoid alien writer rescues Arthur by hitchhiking on the alien’s spacecraft. Ford Prefect is the writer of ‘The Hitchhiker’s Guide to the Galaxy’, basically a travel guide. Arthur meets other aliens and humans during his interspace travel and is put up against Zaphod, who conspired the Earth’s destruction in the first place. Just like ‘Doctor Who’, ‘The Hitchhiker’s Guide to the Galaxy’ has had an immense impact on the British pop culture. Hate me as much as you want to, but in my humble opinion, ‘Life’ is one of the most fitting tributes to the all-time Ridley Scott’s classic ‘Alien (1979)’ which took the whole world by storm. 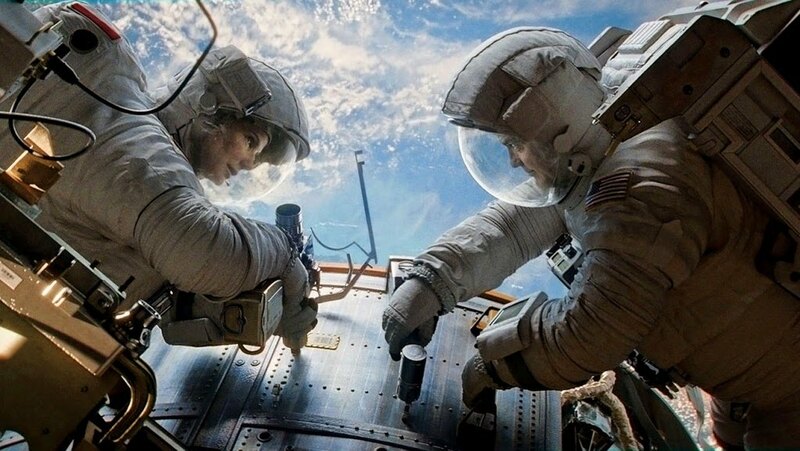 The entire movie is either filmed inside the International Space Station or outside it and begins with an unmanned space probe bringing samples of extraterrestrial life from the planet Mars. Exobiologist takes his first stab at the lab culture which consists of dormant organisms – one of which grows into a multicellular organism capable of changing its behaviour based on the stimulus. The crew names it Calvin. Soon, Calvin grows exorbitantly by feasting on a mouse, followed by one of the crew member’s organs and becomes a looming menace in the middle of nowhere. The ending of the movie with a dramatic twist, as the space pod enters the Earth’s atmosphere, with give you the jitters. ‘Life’ is what one may call “space horror” and the invincible alien is good enough to creep you out. Cutting edge motion-capture technology makes the blue, eight-foot tall aliens come alive in ‘Avatar’. 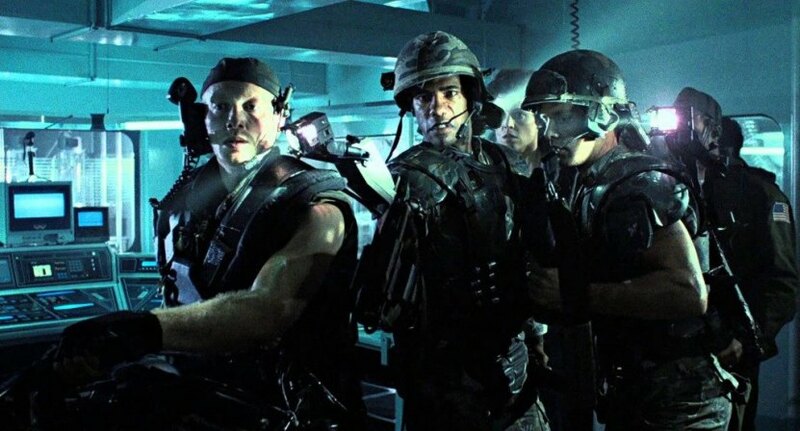 At the heart of the film, however, is a simplistic and oft-repeated plot that is featured in many other movies, which pits good aliens against capitalistic and greedy humans, the worst of whom is Colonel Miles Quaritch (Stephen Lang). 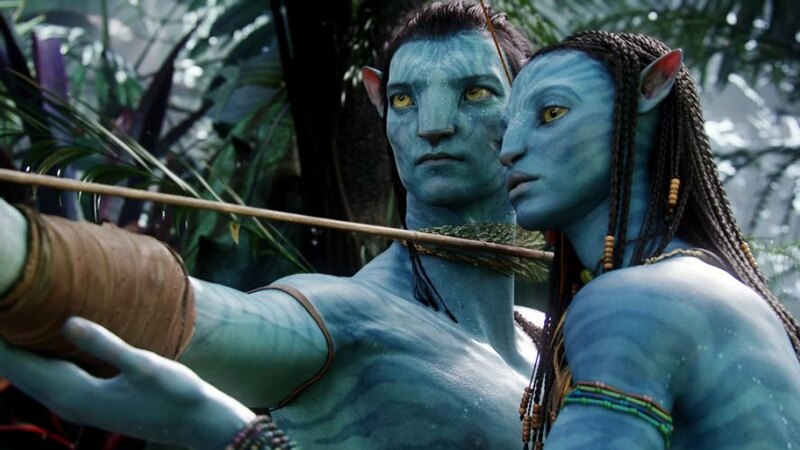 Sam Worthington as Jake Sully, a crippled marine, and Zoe Saldana as Neytiri, a Na’vi inhabitant of the moon Pandora, form part of the romantic side-plot. With a wafer thin story-line, the James Cameron-directed film relies heavily on technology, millions of dollars spent on special effects, and good performances from its cast to keep the audience entertained and brought in over two billion dollars at the box office. 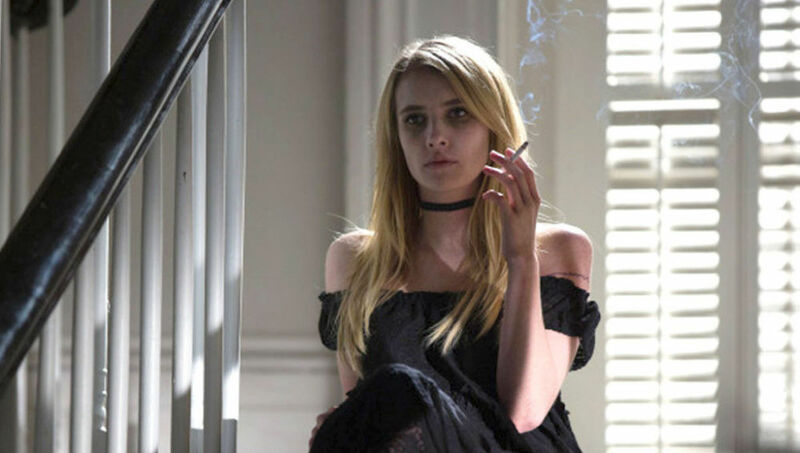 Based on the resounding success of the film, several other sequels from Cameron are in the pipeline and will be released in the coming years. 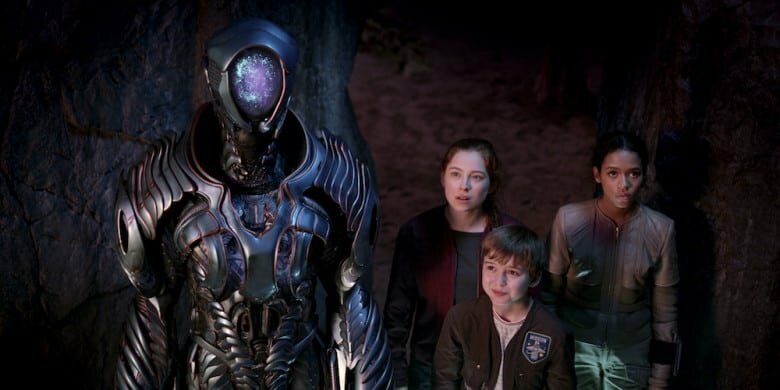 Based on the novel ‘The Swiss Family Robinson’, ‘Lost in Space’ is about a family that is forced to deal with unfamiliar territory and life-threatening challenges as they traverse the Universe and struggle to survive. 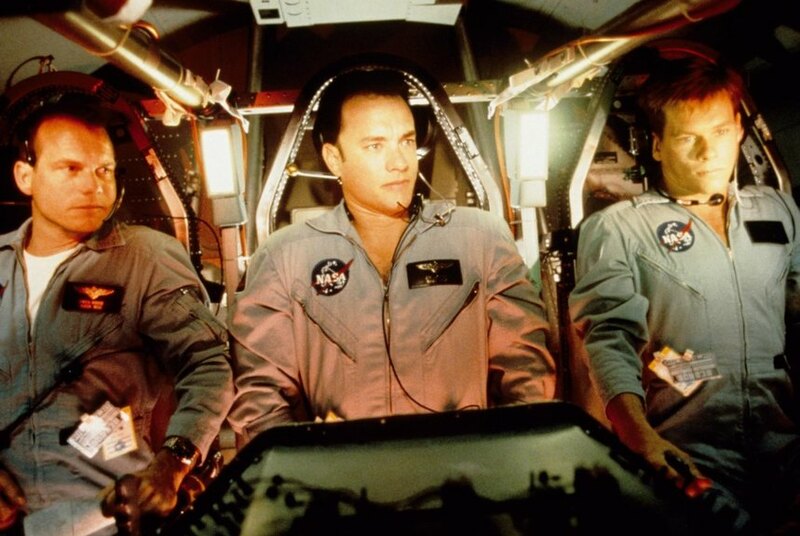 Released in 1998, the movie has a story that was influenced by the TV series of the same name and saw the Robinson family take on the challenges of living in space. The ensemble cast features Matt LeBlanc, Gary Oldman, Mimi Rogers and William Hurt. 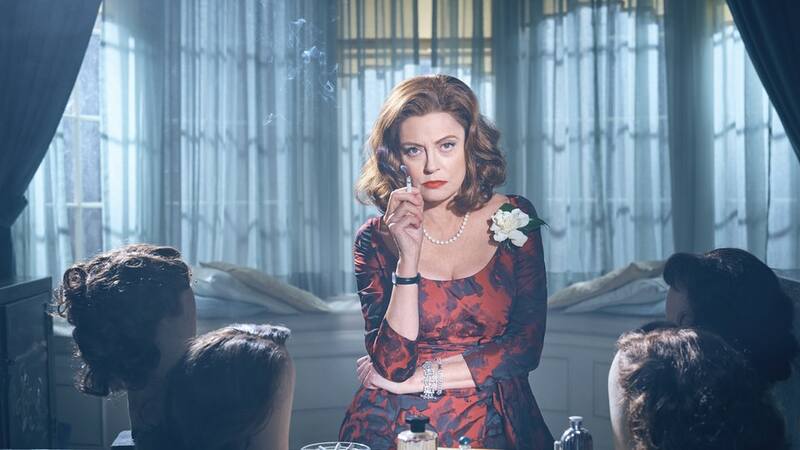 In terms of box office reception and critical reviews, the film did not do well, but it continues to inspire other offerings, including a recent TV series from Netflix. 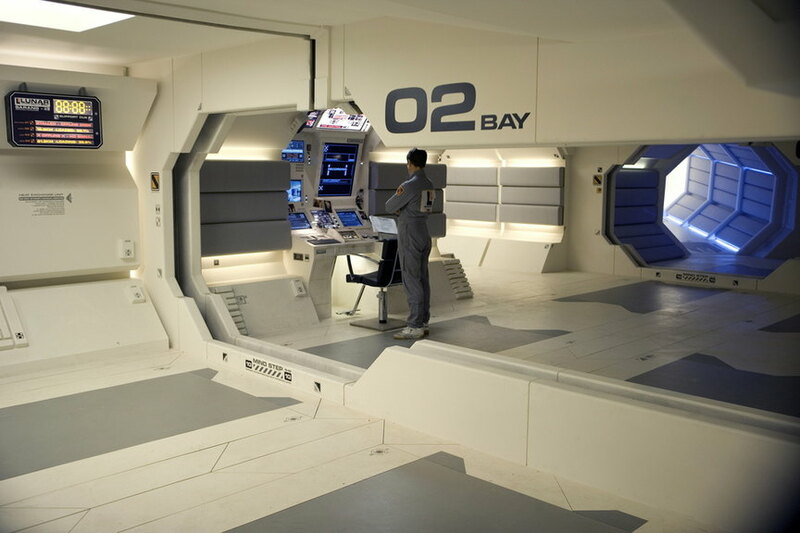 A movie which was a surprise hit and got a positive response from viewers and audiences alike, ‘Europa Report’ begins with a non-linear narrative about what transpired aboard the spaceship en route to Europa, one of Jupiter’s moons, over a course of 22 months. The mission is privately funded by Europa Ventures and is based on the idea that Europa may have sustained life. As the crew of six heads to Europa, after a few initial setbacks and the communication blackout, everyone is grief-stricken over a member’s death who was out on an EVA to repair the comms. The remaining crew of five manage to land the craft on Europa but miss their designated spot. As the events unfold, they come to realise they may not be able to leave the place, because of the dangers that surround them on the unknown planetoid. Meanwhile, the mission control is made aware of the happenings inside the craft by recorded videos sent to them after a successful repair of comms. Made on a relatively lesser budget, ‘Europa Report’ still manages to impress with the stunning details and a captivating and thrilling storyline. A remake of Andrei Tarkovsky’s 1972 classic and one of the few remakes that manage to retain the greatness of the original while approaching the story with a unique new perspective. 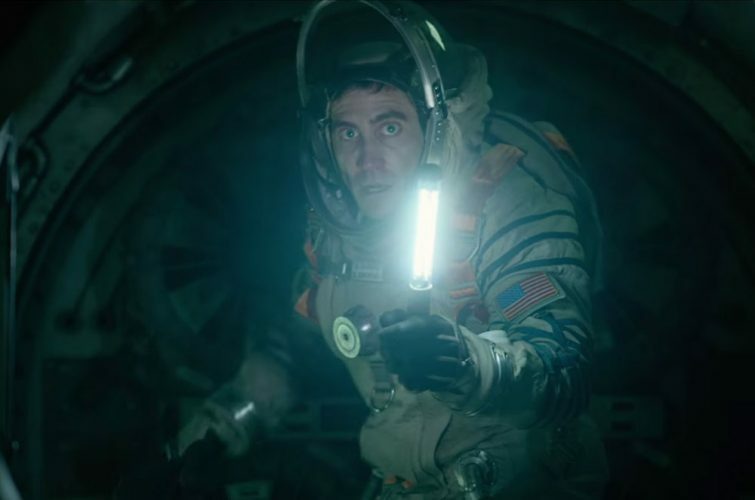 Starring George Clooney, the film is the story of a troubled psychologist who is sent to investigate the crew of an isolated research station orbiting a bizarre planet. Mysterious, beautiful and affecting, ‘Solaris’ is about how cruel memories sometimes can be. Even though the film flopped when it released, it is well respected in sci-fi fan communities and among critics. Yet another example where humans are finally invading the space as we know it and colonizing it, ‘Serenity’ is set 500 years into the dystopian, intergalactic future where humans have been largely divided between the Universal Alliance and the Independents. The Alliance has taken over most life forms, brainwashed them, retrofitted them with gadgets and has essentially made machines out of a human body. River Tam is one such extra sensitive, a telepathic human who has been brainwashed all her life and gets special abilities when weaponised and behaves like a monitored and controlled robot. 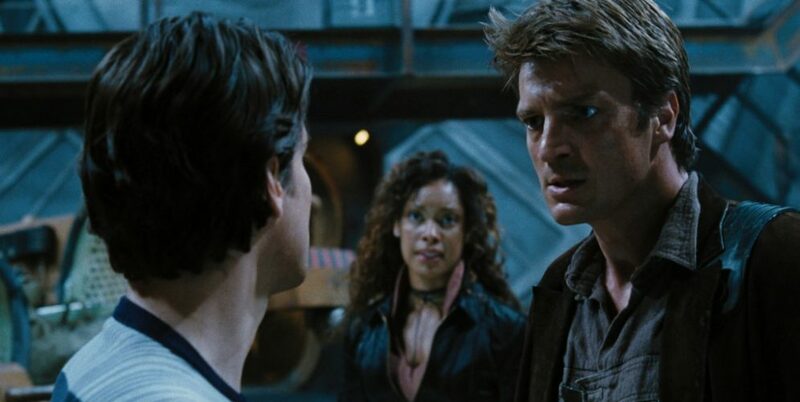 After helping her escape from an Alliance lab, her brother Simon takes her to Serenity, a transport ship whose crew is wary of taking them in, fearing the Alliance’s wrath. ‘Serenity’ was widely praised and received critical acclaim because of its superior special effects, fast-paced action and a thrilling premise. Not as bright and beautiful as it sounds, ‘Sunshine’ is an anecdote that takes us closer to the sun than ever before. Set in the year 2057, ‘Sunshine’ is a desperate yet necessary attempt to jump-start the sun which is on the verge of dying, leading to the vegetation on Earth to freeze and temperatures to drop. As a crew of eight commandeer Icarus II with a nuclear bomb onboard to jump-start the sun and return back, they discover Icarus I as they cross Mercury, which has been sending distress signals from seven years ago. As they’re in the dead zone, meaning they can’t communicate with Earth anymore, the crew needs to make quick decisions amid diminishing time and chances of their survival. The interpersonal battles eventually take the backburner as they focus on survival than anything else. 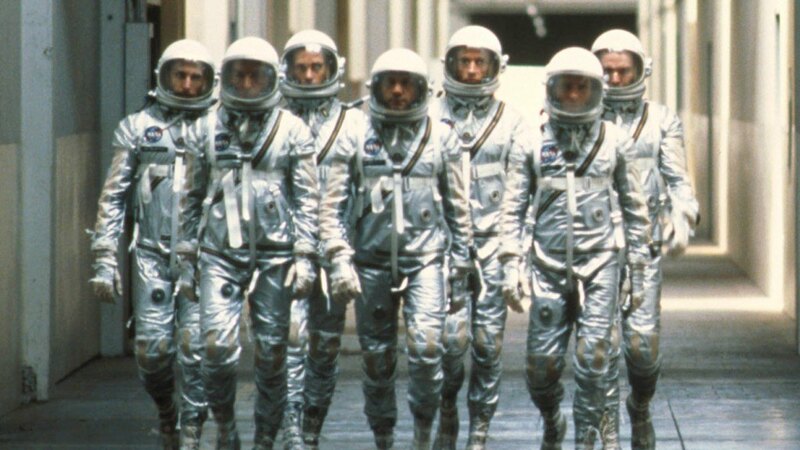 A Danny Boyle’s flick which he claimed has been inspired from all-time greats like ‘2001: A Space Odyssey’, ‘Alien’, ‘Solaris’ to name a few, ‘Sunshine’ still makes its case for an engaging space movie. 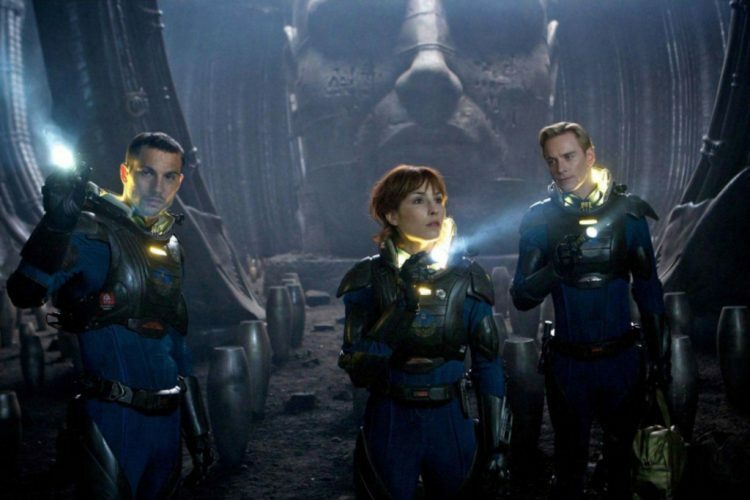 And now to a popular and renowned movie in this genre, ‘Prometheus’ is the prequel to ‘Alien: Covenant’ and if not a sequel, it bears similarities with films of the ‘Alien’ franchise. Directed by Ridley Scott, the movie starts in the late 2080s and revolves around an interplanetary expedition to a moon that is called LV-223. The inspiration for the interplanetary mission is the cave painting from Scotland that leads them to believe there might be an extraterrestrial connection. The underlying belief is that primitive humans might have been created or evolved from aliens. As they land on LV-223, they discover things that they had never expected in the wildest of their dreams, amid a droid named David who plays a crucial role in the due course of events. Michael Fassbender was appreciated for his role as the arrogant and jealous droid, David. Growing potatoes on Mars and eating them for months is just one of the many aspects of ‘The Martian’. 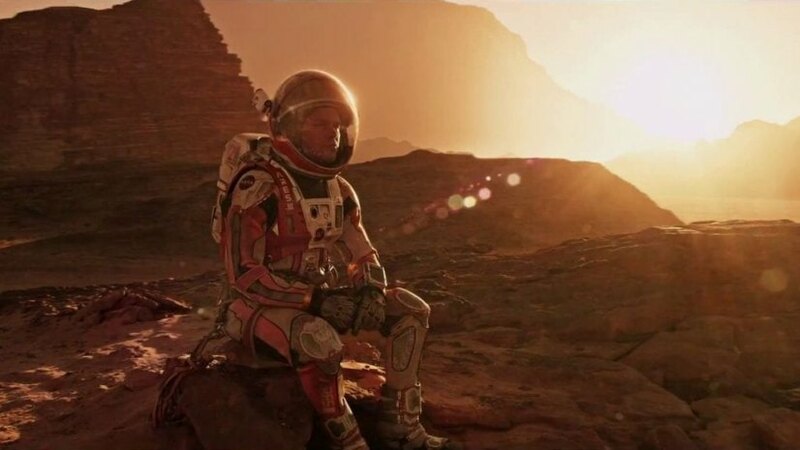 Starring Matt Damon as Mark Watney, the film is set in the year 2035, when an astronaut is abandoned on Mars during a mission and has to survive with limited amount of food and resources. Focused on survival, Watney has to deal with several challenges, including the destruction of his potato crop, while waiting for a subsequent rescue mission to arrive and retrieve him. The scientific accuracy of the film was lauded by critics and the public alike after it was released and it was seen by many as a way to generate attention for future manned missions to Mars. Based on the book written by Andy Weir, the film did well at the box office and won several awards. What happens when NASA or any space-governing observer comes to know about a giant asteroid that’s about to hit the planet and destroy the human civilization as we know it? That’s right – hatch a plan for everyone to flee the planet. But only, the exact opposite happens. Everyone stays, only a group of deep-sea oil well drillers’ team gets to go to the giant asteroid, drill holes, plant a bomb and return safely to earth, while the asteroid is shattered to pieces. 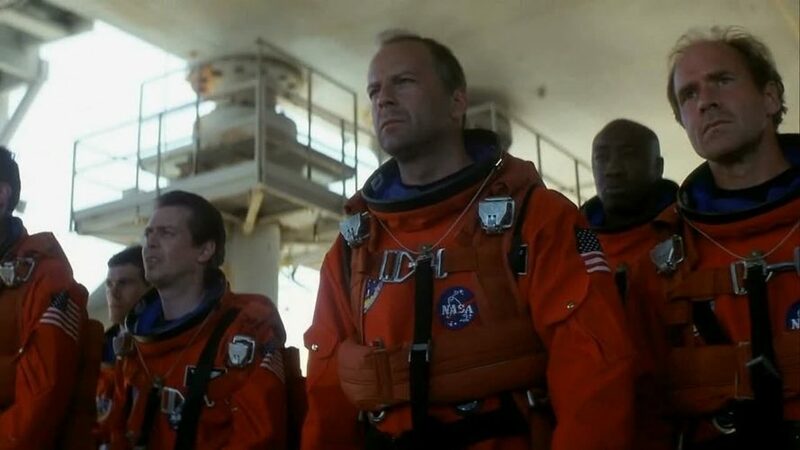 Harry Stamper (Bruce Willis) is a veteran driller, who gets his ragtag group of individuals together as a team and they undergo gruelling space-training under NASA’s supervision. He also despises A.J. Frost, one of his subordinates and the secret lover of his daughter. Although their mission is well planned out, things go awry and sacrifices have to be made. A fulfilling movie from a viewers’ standpoint, ‘Armageddon’ has had its own flaws and never landed well with the critics. Some critics have even placed it on the list of “Most Hated Films”. Regardless, it makes its case for being one of the best space-based movies. Ron Howard took a true story to which the entire world knows the outcome and turned it into one of the most intense and tension-filled films ever made. Based on the ill-fated 13th Apollo mission bound for the moon, it is the story of astronauts Lovell, Haise and Swigert who are scheduled to fly Apollo 14 but are moved up to 13. It’s 1970, and America has already achieved their lunar landing goal, so there’s little interest in this “routine” flight.. until that is, things go very wrong, and prospects of a safe return fade. Easily, the best film Ron Howard has ever made. One of my favourite movies on the list, not because it features the legendary Bruce Dern in a leading role, but because of its compelling storytelling and coherence without overdone special effects or racy action sequences. Set in the distant future, when all the flora on Earth has been destroyed, the remaining specimens have been placed in huge greenhouses orbiting Earth, under the supervision of extraterrestrial forest rangers. Freeman Lowell is one of the four rangers on Valley Forge, a man who loves nature and hopes on returning the vegetation to earth one day. Lowell is taken by surprise when his crew is ordered to destroy the greenhouses and use the freighters for commercial service. Not wanting to destroy the forests, he kills his crewmates after they destroy four out of six greenhouse domes and jettisons the remaining two towards Saturn, along with three robots – Huey, Dewey and Louie onboard and an injured leg. 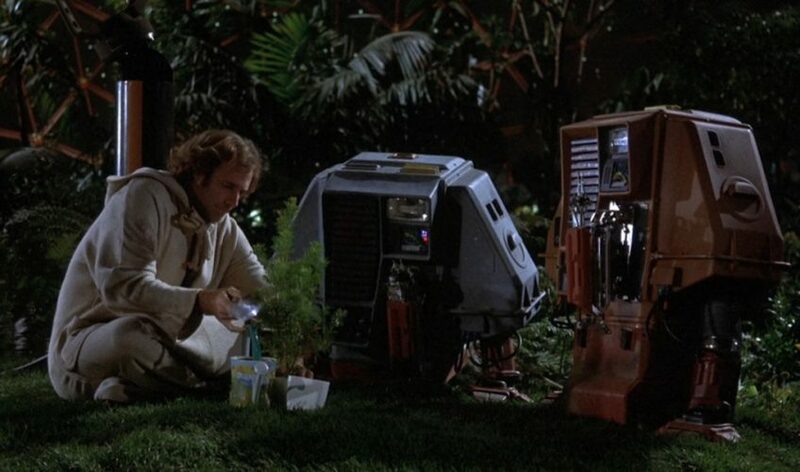 ‘Silent Running’ again conveys the horrors of space travel without any companions and Bruce Dern has done a tremendous job in showcasing himself as a lone space traveller. Sci-fi fanatics across the world rate ‘Aliens’ as one of the best ever space movies ever made. 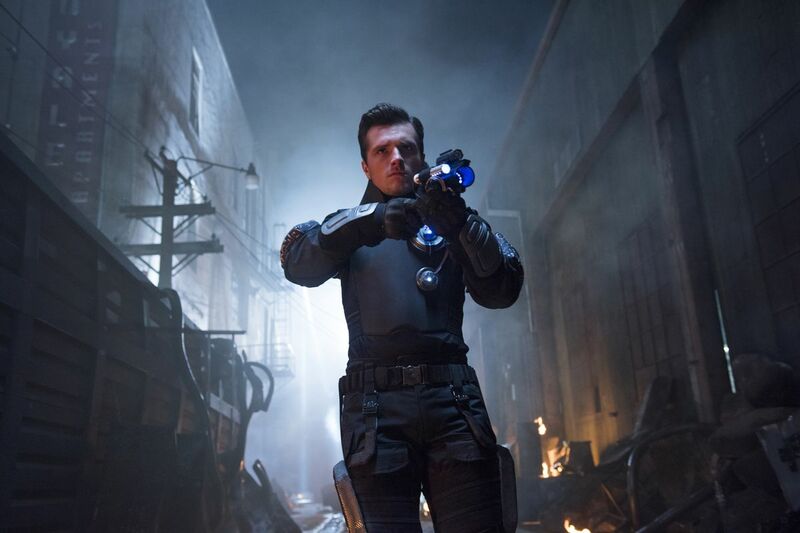 The film is focused on the struggle against aliens, which grow within the bodies of human hosts, and have acidic blood capable of melting metal. The second installment in the iconic ‘Alien’ franchise, the movie pits Ellen Ripley (Sigourney Weaver) against the aliens once again. As with the first film in the franchise, Ripley manages to taken on and defeat the aliens including the queen, and leave the doomed planet. With the film earning rave reviews from critics and the audience alike, it helped cement Cameron’s reputation as one of Hollywood’s leading directors. This is the second film of Ridley Scott on the list. ‘Alien’ tells us of a group of explorers, who, in their expedition, receive a distress call from an unexplored planet. When they reach the planet, they start looking for survivors and realize that the call was indeed a warning and a deadly bioform has already joined them in their vessel, Nostromo. The success of the film sprawled a franchise of sequels, novels, books and games. ‘Alien’ has become a cult favourite among cinema lovers since and remains one of the best space sci-fi movies ever made. After the reboot of the Star Trek franchise, we’ve seen an immense rise in its popularity, perhaps because of the near-perfect star cast including Chris Pine, Zachary Quinto, Leonard Nimoy, Zoe Saldana among others. The recent reboot film-series came to be known as the “Kelvin Timeline” and ‘Star Trek (2009)’ marked the eleventh of thirteen films, the last one being ‘Star Trek: Beyond (2016)’. The Kelvin timeline was of course planned after the successful run of “The Original Series” and “The Next Generation” and boy it has been a thumping success. ‘Star Trek (2009)’ was directed by J. J. Abrams and is set in the 24th century where a trainee James T. Kirk, a laid-back son of a former Starfleet hero, takes over the USS Enterprise, with Spock as its Captain and then later, the First Officer, as they fight Nero, a rebel Romulan who is also a time traveller. The following movies are elaborate missions of Kirk and Spock as they battle their adversaries within and outside the Federation with all their might. Star Trek has gotten a cult status and has influenced the American pop-culture in a major, groundbreaking way. Less of a movie series and more like a phenomenon, ‘Star Wars’ franchise pioneered and reinvented the way in which the world assumed space travel could be and also added an intriguing premise to it, thus making it one of the highest grossing epic franchises of all time. The first movie, ‘Star Wars: A New Hope’, which later was known as the Episode IV, was released in 1977 and to this day, fascinates us in the way Lucas has re-engineered the space-movie sub-genre. The movies of the franchise were released as Original Trilogy (Episode IV through VI), the Prequel Trilogy (Episode I through III), followed by the more recent Sequel Trilogy (Episode VII through IX), where the Episode IX is still awaited. Primarily, the movie revolves around two warring factions- The Republic vs. the Galactic Empire. Over the course of the movies, the Republic changed to the Rebel Alliance and later was reformed as the New Republic, while the Empire is now known as the First Order. The primary protagonists of the saga include Luke Skywalker, Han Solo, Leia Organa, Master Yoda among others, while the antagonist’s group (which keeps changing, because, you know – they die sooner or later) comprises of Anakin Skywalker a.k.a. 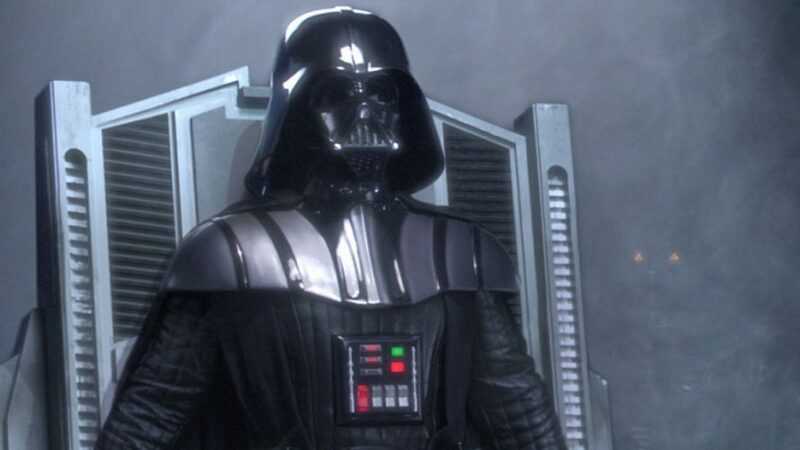 the fearsome Darth Vader, to the latest entrant Kylo Ren. ‘Star Wars’ is not only the most diversified and well-thought space movie franchise of all time, but it is also the visually most captivating. Is the Force with you yet? And now to the only animated film on this list, ‘Wall-E’ broke all barriers when it comes to movies that redefined the entire genre and is often touted to be Pixar’s most audacious film ever made. The movie is set in a dystopian future when the Earth has been decimated to debris and lacks any sort of vegetation whatsoever. Wall-E a.k.a. Waste Allocation Load Lifter – Earth-class, is a trash compactor on Earth among miles and piles of trash. While he spends his time collecting trash, he is fascinated with a small plant which came out of nowhere. One fine day, a spaceship drops an egg-shaped robot on Earth known as EVE, which is there to scan the planet for evidence of plant life. EVE collects the plant and goes on standby, before being taken to the mothership Axiom, before an infatuated Wall-E clings along and goes to the Axiom. Axiom is replete with obese humans who can’t walk anymore given their sedentary lifestyle and Wall-E takes it upon himself to lead them towards another evolution. ‘Wall-E’ achieved critical acclaim and is often touted as one of the finest animated films ever made. 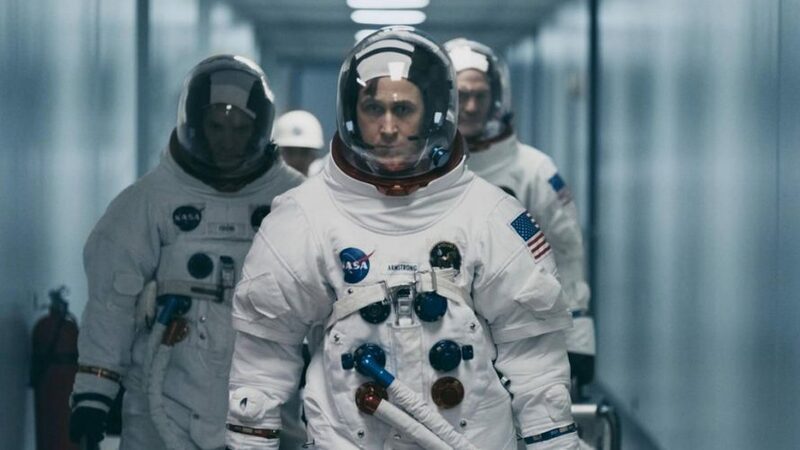 The latest movie on this list, but not the least of anyone, ‘First Man’ is a movie that truly makes us tete-a-tete with the horrors of first space travel that was accomplished by man and is the narrative of the events that took place before the mankind’s first manned mission to the moon. The movie opens in 1961 when Neil Armstrong (Ryan Gosling) was a test pilot in California, while he lives with his family and has to undergo the ordeal of the untimely death of his second kid. After being grounded briefly, he is accepted for the Gemini missions and successfully commandeers Gemini 8 into space, albeit with some problems. After his crewmates for the Apollo 1 mission – Gus Grissom and Roger Chaffee, Armstrong’s grief-stricken demeanour becomes even the more intense. Armstrong is later chosen as the commander of the Apollo 11 mission, the manned mission to the moon. ‘First Man’ boasts of powerful performances, especially from the leads – Ryan Gosling and Claire Foy (who plays Janet Armstrong, Neil’s first wife), gripping visuals and a fast-paced narrative and the edge-of-the-seat thrills which makes it a triumphant space movie. Watched it yet? 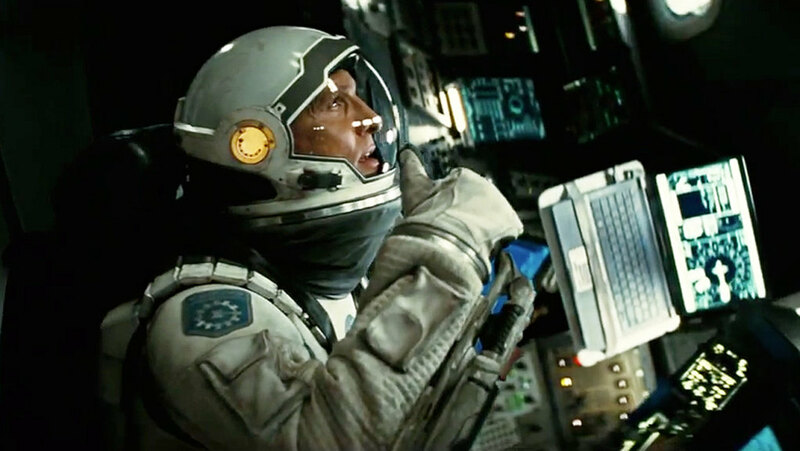 Not as clinical as ‘Gravity’ or as gloriously ambiguous as ‘2001: A Space Odyssey’, Interstellar is at least as ambitious as both of them, if not more so. Replete with some of the best images you would have ever seen on-screen, ‘Interstellar’ is visually breathtaking and technologically awe-inspiring. At the same time, ‘Interstellar’ is also dense with ideas like black holes, wormholes, the theory of relativity, 5th dimension and warping of space and time, but ultimately it is an emotional story of a father trying to reunite with his daughter in the face of insurmountable odds. One of the most unique achievements of global cinema, Andrei Tarkovsky’s Russian masterpiece ‘Solaris’ is a calm and contemplative movie that strives to comprehend the significance of human subsistence. Principally harping on the concept of identity and self-discovery, the movie chronicles the story of a psychologist who goes on a trip to space in order to find out what happened to the crew of a spaceship, who seems to have gone crazy. You don’t watch Gravity, you experience it. In one shattering calamity after the other, film rarely gives you space and time to breathe a sigh of relief, and even if does, you are grabbed by another even more precariously poised situation the next moment. It’s tense and it’s relentless, but even within all the chaos, the visuals and the images would never fail to induce gasps and a sense of wonderment. 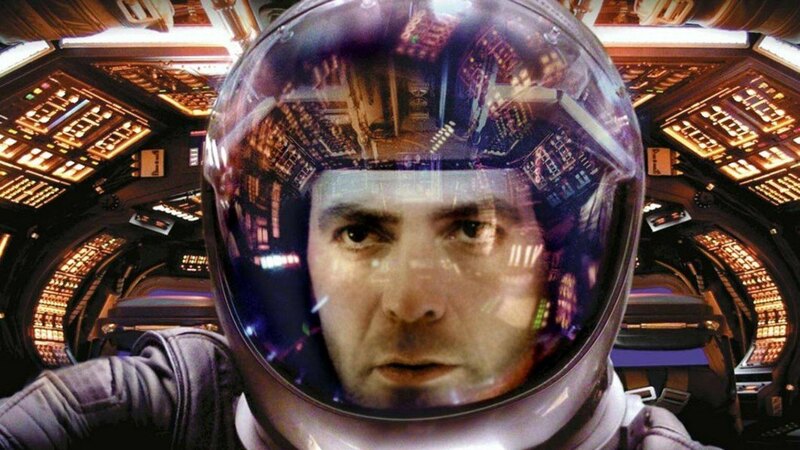 Alfonso Cuaron, with ‘Gravity’, changed the way we will look at space-based films.. forever. Made in the year 1968, ‘2001: A Space Odyssey’ was well and truly ahead of its time and continues to be regarded as one of the greatest sci-fi movies of all time. The film, directed by the legendary Stanley Kubrick, is based on a screenplay by Arthur C. Clarke, and their combined efforts resulted in an offering that divided both the critics and the general public when it opened in theaters. However, decades since its release, the film has received loads of acclaim and has been rated as one of the most important movies ever made. Monoliths with messages from an alien race, malfunctioning sentient computers and crews of space ships kept in suspended animation during extended journeys are some of the important elements of the film, which have been repeatedly used in other sci-fi novels and films. 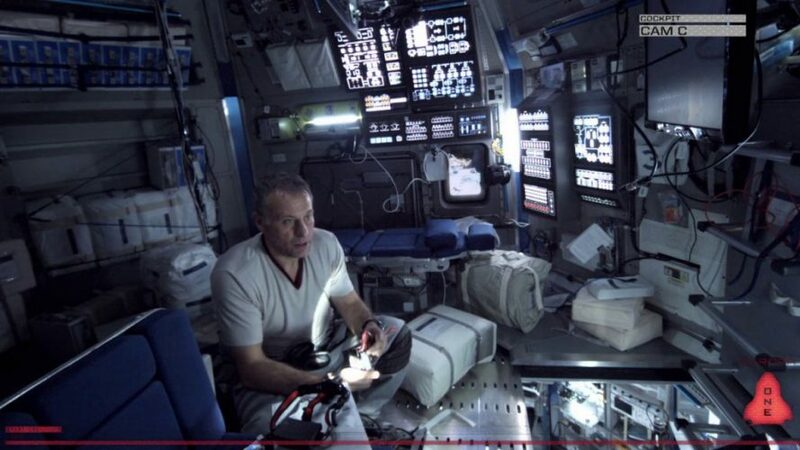 Importantly, as with other sci-fi films, it provides a fairly accurate representation of gadgets in the future, and shows a society where video calls on phones are a part of daily life, and astronauts use devices that look similar to iPads.